Geology for Global Development (GfGD) is a new UK organisation. Its vision is to inspire students and recent graduates in the geosciences to use their knowledge of the Earth to fight poverty and improve lives. Many geoscientists work on issues such as water resources, energy supply, mining, infrastructure, natural hazards and climate change. Their knowledge of this broad range of subjects mean they can make a significant contribution to global, sustainable development. Joel Gill, the founding director of GfGD, was speaking in the geo-ethics session on Thursday afternoon at the EGU. What prompted you to set up GfGD to begin with? What has GfGD been doing so far? 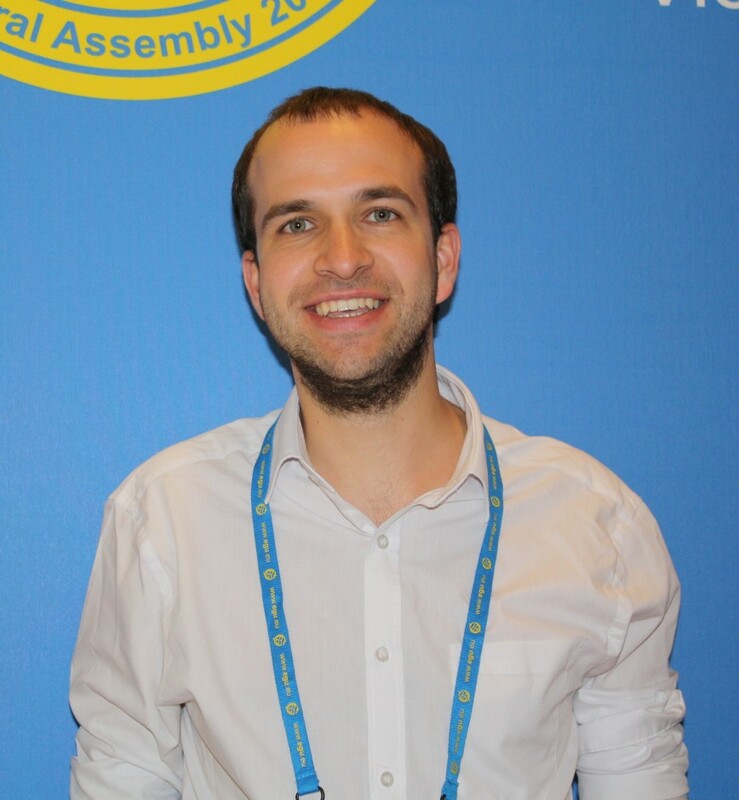 How have you found your experience at EGU? Are people receptive to discussions on these topics? Geology for Global Development, using knowledge of Earth to fight poverty. Finally, what are your hopes for GfGD in the longer term? More information about GfGD is available on their website and their blog. Joel would also love to hear from anyone at a UK university who is interested in establishing a university group.